Every summer, millions of people flock to beaches around the world. For those with small children, keeping track of the little ones in the crowd can be an exhausting and kind of scary task. 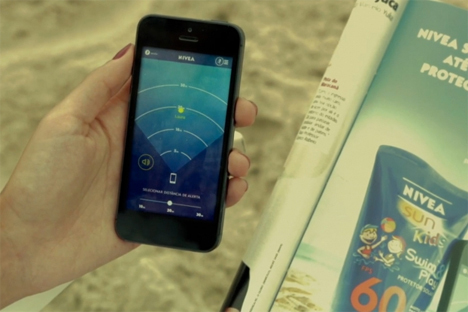 Nivea, in association with ad agency FCB Brazil, has come up with a brilliant way to not only remind you to keep everyone slathered in sunscreen, but also to keep track of your kids. 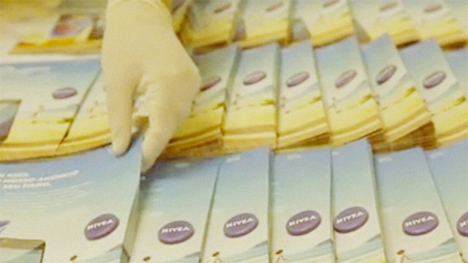 The Nivea print ad contains a clever tracking bracelet that separates easily from the page of a magazine. 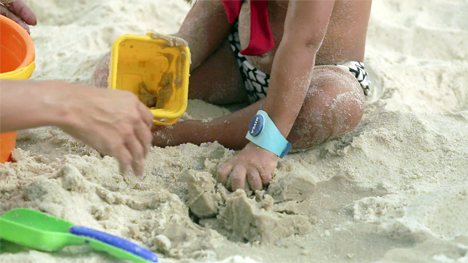 An electronic tag is built right into the bracelet, which fits around your child’s wrist. Your little one is then free to go enjoy building sandcastles and splashing in the waves. You download the associated app on your smartphone, then set the distance that your child is allowed to wander away from you. If the little one happens to move outside of that radius, your smartphone sends you an alert. If you can’t find him by sight, you can use the locator in the app that will tell you, as you walk around, whether you’re getting closer to or further from the child. The bracelet can be used more than once and is humidity-proof (so we’re assuming they can’t actually go swimming with it on). The ingenious campaign is the perfect way to combine a lazy beach day with a magazine and peace of mind that little Billy won’t go running off while you catch up on the latest celebrity gossip mag.